One of the buttons collected for the New Zealand Children’s Holocaust Memorial project was given by Clare Galambos Winter for her brother, Mihály, whom she called Mishu. Aged fourteen, Mihály was murdered at Auschwitz-Birkenau on 7 July 1944. Clare’s death this week at the age of 90 leads to reflection about this other life unlived, extinguished in its flush of youth. How did Clare, the survivor, live with this knowledge? Initially with total disbelief. In fact she never completely accepted Mihály’s death, and it didn’t help her to wonder if he might still be alive somewhere, perhaps in the Soviet Union. So there was no closure. She asked me when I returned from my research trip to Europe in 2008, had I found any records of him and her mother? No, by July 1944 the German’s meticulous record-keeping system had broken down, so great were the numbers arriving daily at Auschwitz-Birkenau. Those selected for potential slave labour were sent in one direction, the rest in another that led to the gas chamber that day. They included children under sixteen. Mihály at fourteen was too young to live. When she thought of Mihály, Clare would simply say ‘How could they?’ to which there was no answer. Having suppressed her memories for so long, she couldn’t remember her brother clearly, which added to her loss. What did they do together? What did they talk about? She tried to recall him in their last weeks together in the ghetto, where they lived in such close confinement, or on the terrible train journey to Auschwitz, but these memories had been buried too deep to surface at will. She recalled a bright athletic boy with an enquiring mind, a fascination for the unknown and a sense of humour. He played the accordion, which she said suited his personality. She kept his photo by her bed until she died. Written for the New Zealand Children’s Holocaust Memorial website, honouring a promise Vera Egermayer made to Clare shortly before Clare died. The last time I saw Clare, ten days before she died, I wished for her the quick and gentle release she wanted, for living was becoming too hard. If the end came more quickly than I expected, it was as she wished. Over the last weeks she had enjoyed public and private tributes. In a special ceremony, Victoria University of Wellington gave her the honour of making her a Hunter Fellow in December, the Jewish community had held a special occasion for her, and she shared with friends a heart-warming celebration of her life on her 90th birthday, held in style at her home. As no Jewish venue was big enough to hold the numbers expected to attend her funeral yesterday, it was held at Old St Paul’s. People from her many walks of life, including former colleagues from the NZSO, came to farewell her in a service led by Rabbi Adi Cohen of the Wellington Progressive Jewish Congregation. I was honoured to be asked to speak. Here below is my tribute. Clare had the gift of making people feel special to her – many of you will know this – and I certainly felt that my relationship with Clare was very special, not only as her biographer but as a friend. I am going to talk about Clare’s experiences of the Holocaust, and as a Holocaust survivor. Klári Galambos and her family were victims of antisemitism before the German occupation of Hungary, but their lives were relatively safe. Aged 20, in her final year of her violin studies in Budapest, Klári had all the normal hopes and dreams of a young woman, and also she had ambitions for her future career as a violinist. Everything changed from 19 March 1944, when the German tanks entered Budapest. Over the following months she would lose her family, her home, possessions, most painfully, her violin; also any sense of dignity, self-worth, individuality, all basic freedoms and human rights. She said, ‘We lost the value of everything and became non-persons. We were alimentary tracks. The only thing we could think of was what we were going to eat and how to eliminate it.’ Then followed a slow recovery to feeling human again, and it’s a measure of her strength of character that Clare eventually embraced life, experienced love and joy, and gratitude for the new life she found in New Zealand. My work with Clare started with recovering memories of her family, and herself as a girl and a young woman. It could have been painful, I’m sure it was, but it was also a release to talking about her childhood, especially her mother. She hadn’t allowed herself to think about her mother for so long. After one of our sessions she dreamt of her mother for the first time, and awoke feeling comforted. I was concerned about recovering memories that were better left dormant. It’s a further measure of Clare’s character and courage that that she told me I could ask her anything. Her initiation to what she referred to as ‘the horrors’ came soon after the German occupation when she was thrown into a jail in Budapest for three days. That she and others should be herded and locked up, simply because they were Jews, treated like animals with standing room only and no sanitation, expecting to be shot, was all the more shocking to her because at that stage she still had all her sensitivities. She was released and managed to get home to her family in Szombathely On 14 May the Jews of Szombathely were thrown out of their homes and locked in the ghetto. Clare’s recollection of this was foggy, except for a flash of memory of the family being evicted from their home. In a passing glimpse into her parents’ bedroom, she saw the rough hand of a thug rummaging among her mother’s linen in her wardrobe. He pulled out Klári’s precious toy, a donkey with its stuffing coming out. She had loved that donkey, and until that moment she hadn’t known her mother had kept it. This poignant memory, which says so much, foreshadows the brutality that was to come. The Jews had to hand in all valuable possessions, but Klári had permission to keep her violin. Then, after nearly two months in the ghetto, when they were boarding the cattle trucks to Auschwitz, willingly because they thought they were leaving a hellhole for a better place in Germany, one of the guards took her violin from her, saying ‘You won’t need this where you’re going.’ It was like losing her right arm, and it hurt her more than anything, even more than saying goodbye to her father, Andor Galambos, when he was sent to a labour camp, because she didn’t know she’d never see him again. 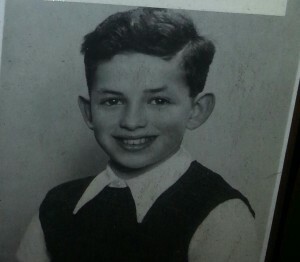 He died in Bergen-Belsen. The next parting was at the ramp at Auschwitz-Birkenau, where Klári and her aunt Rózsi were separated from her brother Mihály and her mother Zsuzsanna. By this time, after the horrifying journey, Klári thought only of her hunger and thirst. When she later asked about where her mother and brother were, she was told they were burned in the gas chamber. Of course she didn’t believe this. Mihály was aged 14, Zsuzsanna 45. Rózsi then became her whole family. Their captivity in Auschwitz-Birkenau was relatively short, but the conditions of the part of the camp where they were interred, Birkenau III, called ‘Mexico’, were such that few survived. Klári knew that to survive, they had to get out, and the only way was to be selected for slave labour in Germany. On the third selection they were successful and sent to a munitions factory at Allendorf. After Auschwitz, Allendorf was like paradise, and Klári recovered some of her humanity, until winter came, the food ran out and all the prisoners suffered from toxic poisoning from handling chemicals and breathing poisonous fumes. But the war was ending and the Americans arrived in time for Klári. Many of you will have heard her describe her last days before liberation and her emotional realisation that she was free. Through music she could escape her past, or she could express her sorrows without having to name or define them. All that she had experienced remained part of her, somewhere deep inside. Clare’s need for security and her hunger for love and for family were also met in New Zealand, through her marriages to cellist Karl Kallhagen and Dr Otto Winter, also through Carol McKenzie and her family, her other colleagues in the NZSO, and her circles of friends that widened in her retirement. To the end she was cared for and cherished by devoted friends, and that, she said, made life worth living. We have lost our friend, but she touched us, opened our eyes and enriched our lives in ways that we will never forget. 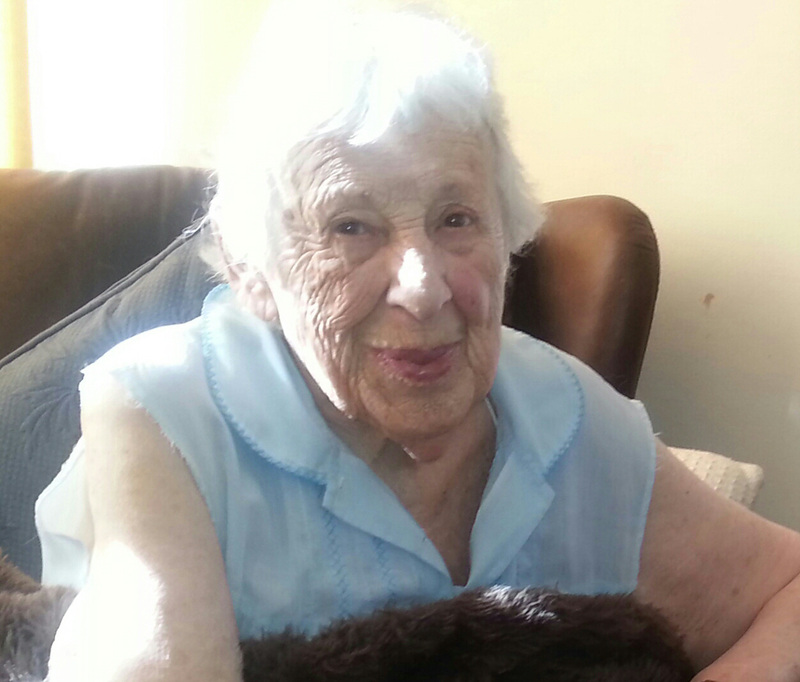 Clare died peacefully yesterday morning at the Mary Potter Hospice. I mourn her parting and my thoughts go out to those who lovingly cared for her on a daily basis. Her funeral is to be tomorrow morning at ten o’clock at Old St Paul’s. I will update this post in the days ahead.